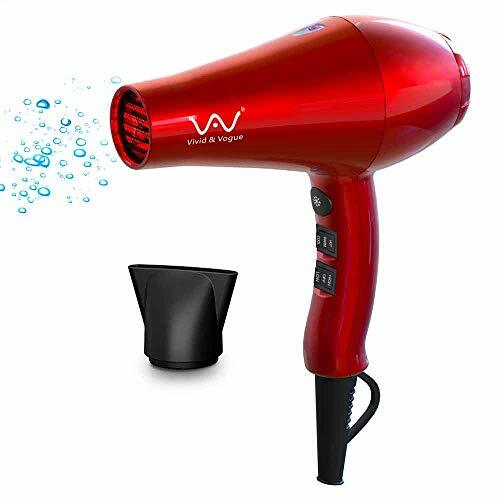 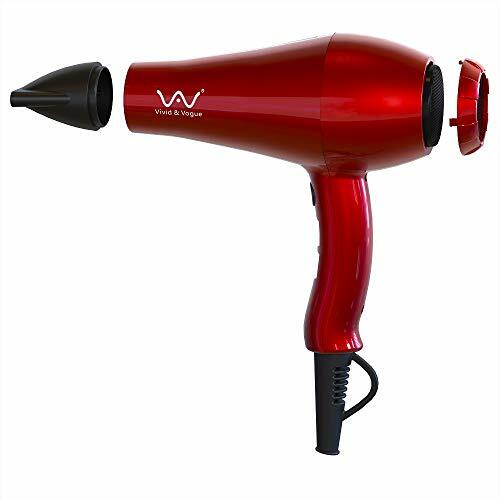 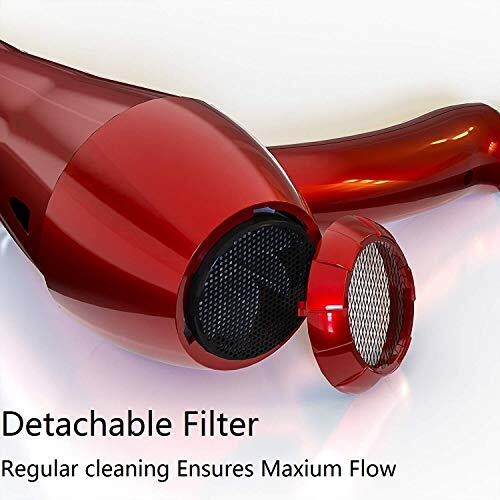 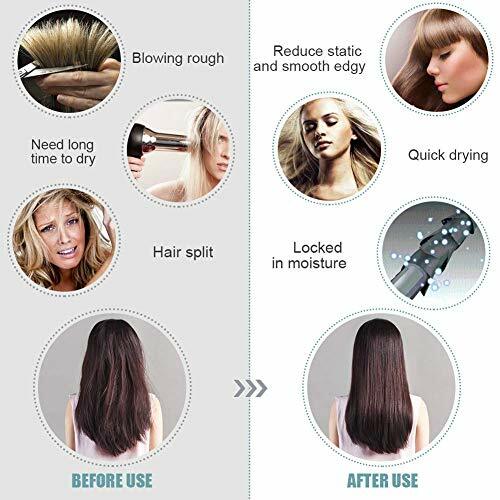 ✔Lightweight 1875 Watt Motor - The powerful motor with high speed drying and uniform heat dispersing technology,produces strong,consistant airflow to dry even thick,wavy hair in no time. 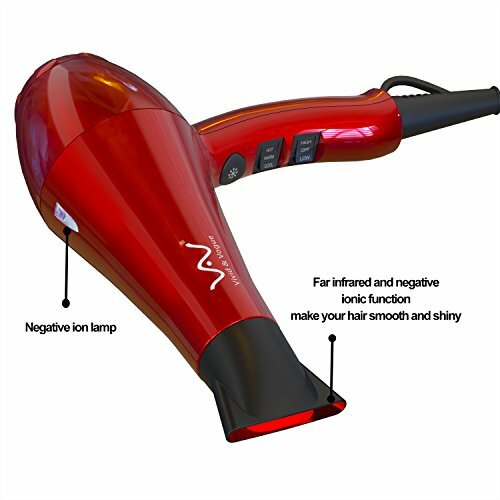 ✔Negative Ion and Far Infrared Technology - Ionic technology helps enhance your hair's natural shine and eliminates frizz for healthy-looking,smooth results.Allows you to achieve smooth,frizz-free hair without damage. 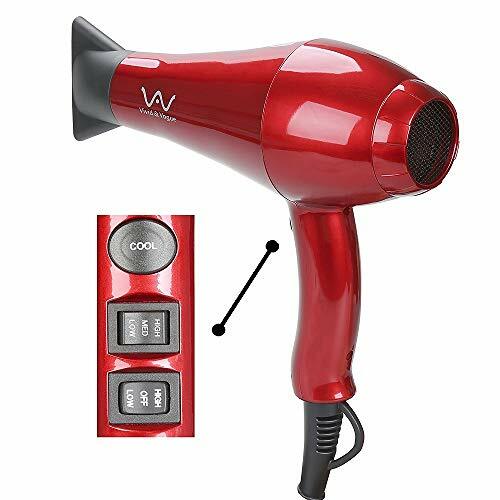 ✔2 speed and 3 heat settings - Choose the right temperature and airflow for your hair.Start with high heat to remove excess moisture,then switch to low heat and speed to style and show your hair perfectable. 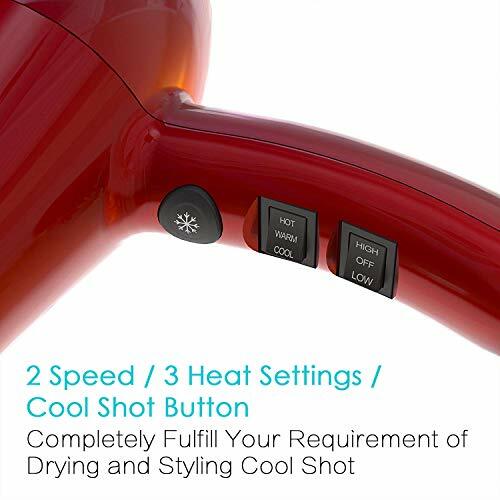 ✔Cool shot button - Setting and locking the style for hair.Removable Filter easy to clean,also includes concentrator,US plug,125V,1875W,1.8m salon cable with hang loop.